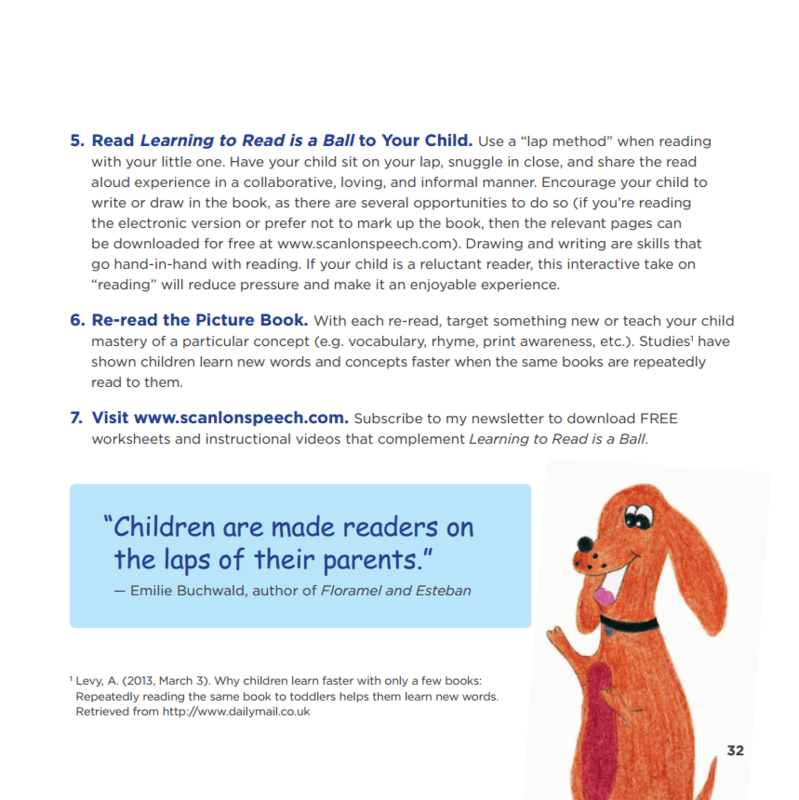 Do you want to prepare your child to be a lifelong, successful, and passionate reader? Jump start your child’s early reading skills while having a ball! This is not just another beginning reader book. 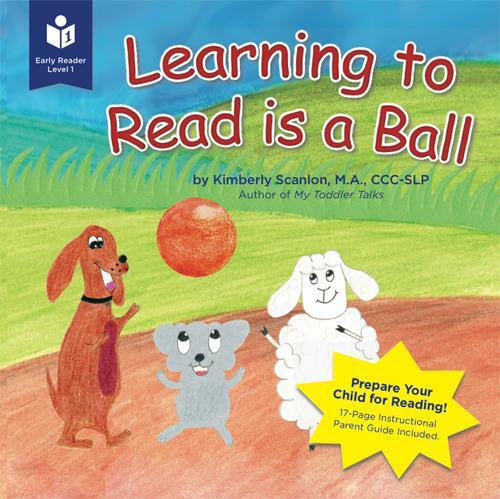 Learning to Read is a Ball is a one-of-a-kind, versatile resource that will assist in building your child’s language and early literacy skills. This unique and adaptable book can be used with toddlers, preschoolers, and kindergartners. It is a must-have for anyone interested in developing language and literacy in young children. 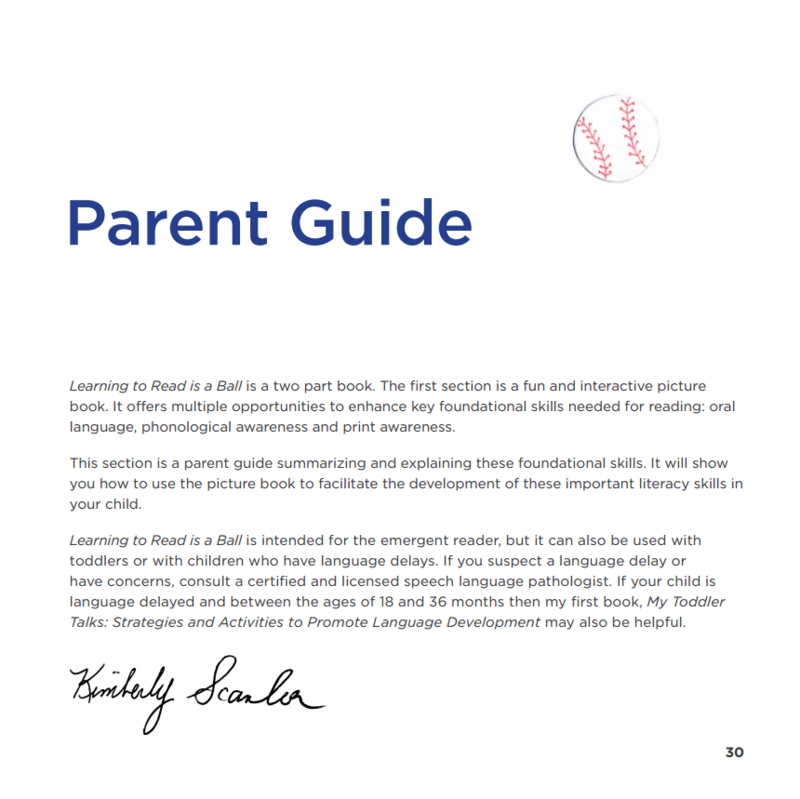 Develop these foundational reading skills in your child, and you’ll take pride knowing you helped prepare your little one for formal reading instruction going into pre-school or kindergarten. 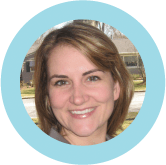 Kimberly Scanlon, a New Jersey licensed and nationally certified speech language pathologist, formed Scanlon Speech Therapy in January of 2011. An innovative thinker and passionate therapist, Kimberly decided to create a unique practice driven by compassion, integrity, and best practice. "I highly recommend this book to parents, early intervention professionals, as well as speech language pathologists as a terrific research-based resource for improving oral language and emergent reading abilities of young children with and without language disorders." "It is a fun, interactive book that is written with children in mind. The book is a great foundation for building your child’s storytelling skills. My daughter made up her own story about a ball for dinner. Yes at 2!" "Scanlon’s book is like a two for one. It’s a picture book and it’s a how-to guide for parents. With the skills learned in this book, you can promote your child’s literacy anywhere or with any story." "This book could be an amazing resource in your speech arsenal as well. It could also be a great gift to new parents. I know what I'm buying for the next book-themed baby shower I plan on attending!" "The information Kimberly provides is research-based and presented in a quick, easy to read and understand way. I am excited to have a copy in my office library that I can now share with parents. If you have a young child or emergent reader, I highly recommend it!" "Kimberly has packed a lot into what looks like a simple book. The concepts are illustrated clearly, there are rhyming words, descriptive vocabulary, a variety of verbs (doing words) AND even encouragement for writing skills!" "I love the way Learning to Read is a Ball guides parents through different ways to make reading come alive. I love the way the story centers on ACTIONS. It inspires me to have some balls out during reading and act out the actions mentioned. I would like to show it to clients, to give them a well rounded experience in speech." 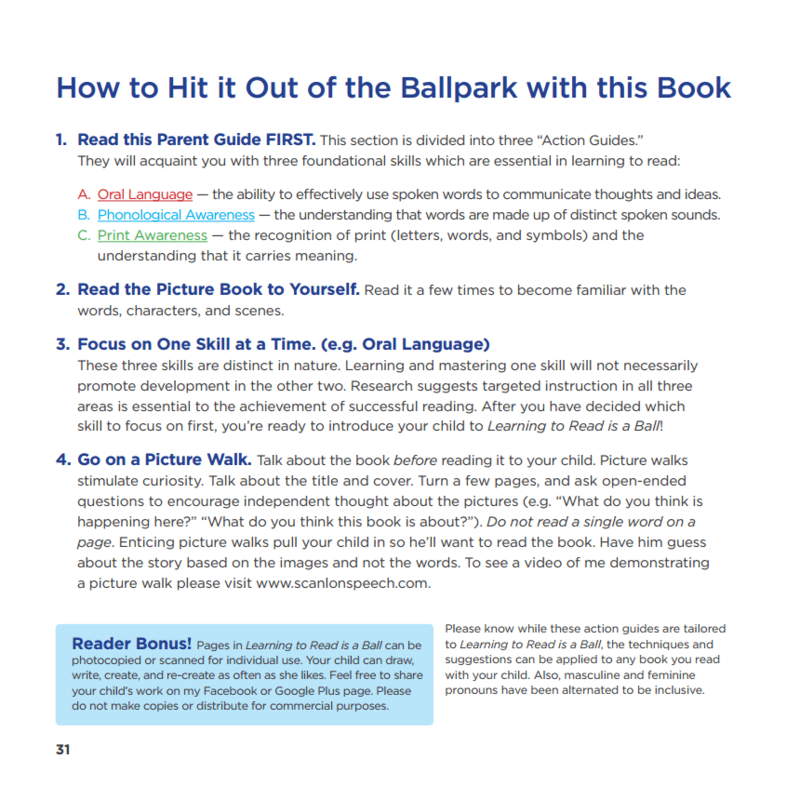 To receive the free worksheets mentioned in Learning to Read is a Ball simply sign-up for my newsletter. Help My Child To Read Series: What is Emergent Literacy? Help My Child To Read Series: What’s the Alphabetic Principle? Help My Child To Read Series: What’s the Pre-Alphabet Stage?